Create colourful eZee Beads shapes to show off to your friends there is no need to use the iron to make the beads stick together all you need is water. 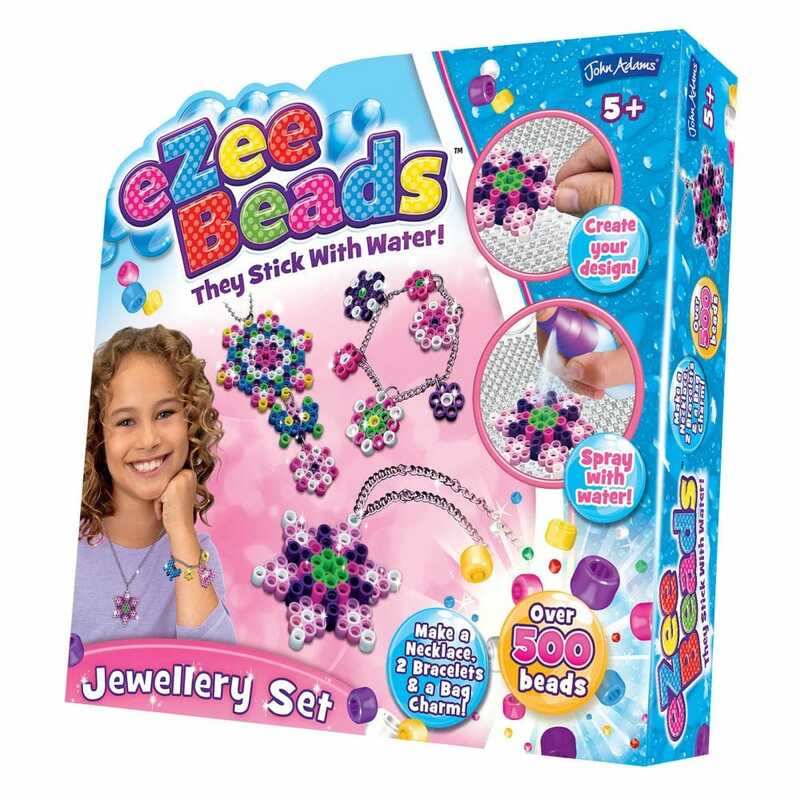 The eZee Beads Jewellery Set allows little ones to create their own necklace, bracelets and bag charm. Simply choose a design and bead it then spray with water and let it dry to reveal colourful jewellery designs which you can attach to fixings. Contents: bead tray, bead storage, water sprayer, bead tool, fixings and design cards.